Many of you have found some much-needed peace. This is good. Rest, adequate sleep and good nutrition are also recommended. Being grounded is perhaps the single best action to take in order to be in contact with God and your ever-present guides. Your connection to God and Mother Earth will make the best attempt for you to receive guidance. Being in this connected state will all but ensure your closeness to your chart. You may still lack sufficient guidance but your chances of great intuition is higher. Prayer will also help. Make sure your guides know that you wish to be grounded, cleansed, clear and open to God. They will assist you to maintain these states because that is exactly why they are there with you to begin with. Use them. Allow them to function on your behalf. Release your resistance. Our next step to your enlightenment is for you to allow change. Ascension is only possible if you allow change. If you were capable of ascending to Heaven you would already right? So it makes sense that some changes are needed in order to become more enlightened. Change causes some resistance. Humans fear the unknown so you may haphazardly cling to your norm because you’re not comfortable with what else may be out there. You are not happy, you feel unfulfilled and your dreams are not met. What you have failed to realize is that there is no “unknown.” Your life is charted. You have written every word and planned each lesson. Your guides approved your chart and sent it up the chain of approval until God has acknowledged your chart as manageable and thought out. Your Heavenly Hosts guide you against making your chart too difficult. In spirit you may be an over achiever. You may have set some monumental tasks for you to complete and harsh experiences to endure. You would have been advised against this. We would rather you succeed in fulfilling your chart than fail at too many goals resulting in sorrow and disillusionment. Too much stress may cause mental illness, substance abuse or perhaps suicide. These states of being may be uncharted. You are basically setting yourself up for failure by writing a difficult chart. What you don’t realize in spirit is that you don’t have the all-knowing, blessed sentient state that you have while residing in Heaven. You come to Earth and again experience the darkness and negativity of this physical plane. As a newborn much of what you knew in spirit is still available to you but you obviously cannot act upon it. As you age, you lose your inner knowing and live in your own unascended state. In order to comprehend your purposely difficult chart you may rely upon being updated by downloads, spirit and evolved thinking. All this as a child, teenager, young adult… You may now see why this essentially dooms you to failure. Not many tweens meditate, pray and open to spirit. The truth behind your inability to attain and maintain your chart is your resistance to change. Spirit is eternally beside you. God is always available to you through prayer. Angels, Archangels, Saints, animal guides…are in close contact with you. If you have not received any beneficial spiritual information it is not the fault of your guides. You are unavailable. We are not assigning blame. This is what happens with every human who reincarnates. You lose much of the knowledge and intuition that you have already learned in previous lives and through learning in spirit on the Other Side. Our focus is to reconnect you with that knowledge and cause you to surge forward and realign with your chart. Once in proper alignment, you will again learn, experience and grow emotionally in accordance with God. Many of you do not realize that what you have set for goals in life is usually not your actual faith-based goals. Finding your “soul mate” is not the end all. Ok, find your soul mate then…volunteer, raise money for charity, become foster parents, bring other people to God… Having financial wealth is also not the end all. Make a fortune then… Raise a family then… What you have established as your perfect state of being is usually only part of the picture. Try to think in terms of what God would have your life purpose be. Humans may wander so far away from the Divine that they believe they have the freedom to choose whatever goals they wish. What does your family need? What does your community need? What does your country need? We are definitely not discussing politics. We are trying to refocus you on humanitarian needs. Each life has a purpose for God. You have known many differing types of existence here on Earth. You may be wealthy, poor, unhealthy, disabled, talented… Each of these realities exist then what is your work for God? You are wealthy and you are responsible for “this” for God. You are a talented musician and your are expected to perform “this” for God. You are a Master Gardener and you are capable of doing “this” for God. There is always more. You are never done working for God. This may surprise you. You may be at the end stage of cancer and you are still learning and teaching for God. You may be incoherent with Alzheimer’s Disease and you are still teaching for God. You may be retired and living comfortably near the sea shore but there is still more to do. It is not a burden, ever. Working for God is fulfilling. Alignment with your Creator is bliss. The act of following your path defines a perfect existence because you have met many of your charted life goals. It is not “work” when you feel near to God and your guides. It is life! Life the way YOU intended it to be. Come back to center. Be grounded and cleansed. Meditate and pray. Release your need to define your own life and naturally realign with your life chart. This is the true blueprint. If you feel life is a series of happenstance, then you are far from your path. This is ok. We are here to help you to come back “home.” Life has a synchronicity. You feel charmed and at peace even though everything isn’t going so smoothly. Why? Because it was your intention to experience, learn and grow emotionally. That is the way you charted it. Faith is what ties all of your expectations and charted lessons together. You KNOW you have a higher purpose. You KNOW that you have further to go. You KNOW there are many more lessons to learn. You have a part to play in the chart of others just as they have a part to play in yours. This is all for a greater purpose. Imagine returning to the Other Side and reviewing what you have learned in this life. Is it about money, physical beauty, selfishness, greed, winning…? No. It is about how much you have done for others along the way as you overcame your limitations and managed your own goals. Your mind must be open in order to receive your Divine direction. Change is necessary or you will not complete your chart. Keeping everything the same will not accomplish more. You’ve done the same thing over and over. It hasn’t worked yet. You must open and allow God. There is no fear or frustration when becoming ONE with your Creator. It is bliss. The steps are clearly visible and your ascension makes each day well worth it. What have you chosen to be? Have you had enough time to think about it? Do you need my help? We all struggle with our own self-expression, but to align more closely with your chart you would release many of your unnecessary distractions. All matters would seem to fall into place. Often We say that your life would seem charmed, but this is the truth of it. Being in alignment feels very different than what you are used to experiencing. Your vision will become crystal clear and vivid. You may feel taller. It will seem like you are towering over everyday items like you may have grown a foot taller. Even looking into a mirror will seem different. You may have tunnel vision. Meaningless distractions will be dismissed quickly. You will hone in on important matters. Your thoughts will be effective and streamlined. It will feel like you have gotten a lot of things done. The downside is that you may have less patience for communicating with others who are not in alignment with you. It may seem like they will have limited understanding about what you are saying and you might be better off if you skip the conversation altogether. You may feel like some people are wasting your time. You may also become lightheaded. Your perception may seem to swirl a little different than usual. Almost like your timing is a little bit off. You may also get a feeling like time is passing more quickly. It may feel like you are ten steps ahead of where you actually are. This is where the tunnel vision will possibly cause you to become dizzy. Looking forward may resemble the environment leaping toward you. The good news is that these feelings are temporary. It may be like a boost to your knowledge and understanding, then returning to normal. It will be very helpful to be grounded. The discomfort would be minimized if you were anchored to God and Mother Earth. The best way to look at it is that you are on or very near who you are intended to be. Those enlightened moments must be celebrated. You have done your work and you are making progress. You may actually feel close enough to Heaven to touch it. Your heart will leap when you feel all of this. This moment of clarity will give you a glimpse of true grace. Your departed loved ones will be very near to you. It will feel like you have found the perfect wavelength and your loved ones will gather for you. All at once, it all makes sense and it is vibrationally perfect. If you remember the rush of an amusement park ride, this is so similar. Brief, yet perfect. If you have ever had those moments in life where you are doing everyday, non-eventful things and you realize that you don’t remember every minute of your trip. Your mind went somewhere. It may have felt surreal or dreamlike. This is exactly what it feels like. We will work the next few posts on finding your chart and allowing your purpose to manifest. It will be exciting and stimulating. You may need some more practice meditating, so keep trying and We will catch up to you in time. Envision yourself sitting upon the lush, green grass in a peaceful meadow. Your base chakra connects to Mother Earth and you receive some much-needed soothing and support. This chakra is about your basic needs of food, shelter and clothing. It is also about your feelings of being safe and secure. If you have had some emotional problems in your past, this may influence the clarity and health of your connection to Mother. Imagine flushing out all of the dark or muddy energy in your red chakra. Flush it until all of the energy runs clear. Envision the improved connection to the Earth and allow roots of your being to permeate the fertile ground. You may feel physically and emotionally stable. The attachment is firm and unmistakable. Now move up to your orange chakra and attach it firmly to your red one. Flush out the dark or stagnant energy of this one as well. You may have had a longstanding break in your ability to be happy, creative and emotionally satisfied with your life. Maybe you are in a career that blocks your flow of self. Perhaps you are being belittled or abused. There may be any number of reasons why this second chakra needs to be repaired and returned to good health. Once it is completely clear and spinning blissfully, reaffirm the attachment to the base chakra and in turn to Mother. As you may see, each chakra has a direct link to your emotional and physical wellbeing. Issues of abuse or neglect may permeate any of the chakras. Some damage may even be from past life issues as well. It does not matter when or where you received the damage, it only matters that you cleanse, clear and repair your chakras right now. It is never too late to begin again. That is truly why you are here visiting this site in the first place. You want to repair your own injured psyche and move forward to find your purpose for God. This is closer than you may think. Making this effort will go a long way toward your healing. Continued chakra health will also keep you fully aligned with God and Mother Earth. There are no amount of lists that you may make that will heal you now. You don’t need to do a running count of wounds and injury. Wash that all away and connect all of your healthy chakras to each other in succession. Allow them to spin gracefully and remain firmly attached one to another. Your lower chakras will meet your upper chakras at the 4th or heart chakra. This is where your identity from above meets and blends with your earthly identity. Once you have all of your chakras cleared and connected, you may continue to realign them each day. Without constant attention, they will again fall into disrepair especially if you have not released your trauma or repaired your current life. 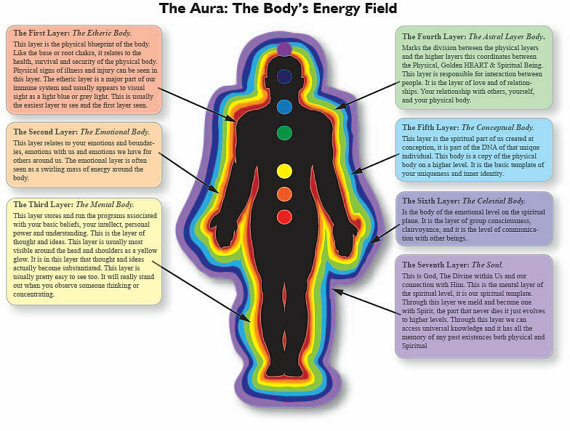 What some people may not realize is that chakras may also be out of alignment toward the left or right. Every chart you see has the chakras all lined up neatly from top to bottom. This is not the case especially if you have not tended to your chakra health at all. Stay vigilant. Remind yourself daily to maintain your spiritual health and pray. Many people do not pray very often. This is also one of the most effective and simple steps that you may take to heal and be well both emotionally and spirituality. Please do not feel that your thoughts and feelings are not worthy of God’s attention. We all came here to learn and to grow and constant communication with God, spirit guides, angels, saints, departed loved ones… was expected and encouraged. You matter just as much as any other person. You have a direct communion with God simply through prayer. Being ONE with all source guarantees this. Practice your chakra cleansing and attachment daily. Allow the Divine energy flow up from Mother Earth and back down from God. Envision sitting upon fertile ground with Heaven above and allow the energy to flow through you. Always remember that healing must not just wash over you. This Light must soak, rinse and flow throughout your being. And be certain to remember behind you! Envision your brilliantly clear chakra energy all around and through you. There are many exercises in books and on the internet. Find one which resonates with you and keep using it. Kundalini energy also arises from the base of your spine or your sexual essence. This will also benefit your overall health and wellbeing. You are not alone and you were never intended to live your life without guidance. The spiritual energy that you have just begun to tap into is only a small part of your true self. Resist the feelings that you are an island in an imperfect, dismal world. This is so far from true. Accept your divinity. Embrace your eternal life and use all of the energy of the Universe to GUIDE you. We have made a commitment to you. We hold you in great regard and We wish nothing more than to help you along your way. The closer you come to your higher self, the more We embrace you and bring you closer to home. Stay on course. Allow yourself to move and think more freely. Remember your chart and always count upon Us to walk beside you. Each injury does not need to brought into the Light. It is truly enough to cleanse and clear yourself and release what is not “of God.” Please resist your need to say, “but…” ” I can’t…” or ” it still hurts so much.” God is letting you know that it is ok to let go, let God and forgive.